What team were you a member of and for how many years were you on the team? I joined FRC 2642 Pitt Pirates during the 2009/2010 season and was with them for 4 years. 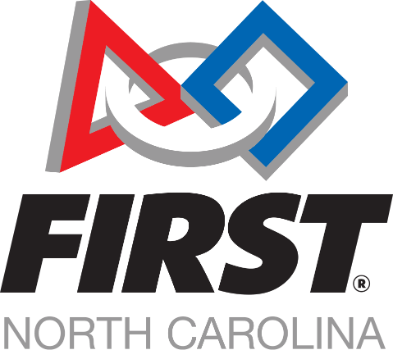 I first learned about the FIRSTprogram through my sister who attended NCSSM and was part of FRC 900 Zebracorns. Where do you currently work and what is your job description? I majored in Mechanical Engineering at ECU in Greenville. I did an internship at Hyster-Yale in Greenville. I now work at Crown Equipment in Kinston, NC as a mechanical engineer. This company designs and makes makes palette trucks and forklifts. The teamwork and especially communication skills I learned in FIRSTgave me the confidence and experience to go straight into the workplace! What is one highlight from your time on the team? I loved driving all the robots! It was intense but the best experience of the program. It was fun working with other teams to strategize how to be successful on and off the field. I thoroughly enjoyed helping with all the outreach we did each season. In 2012 we were chosen be in the 1st seed alliance and went on to win the NC Regional Tournament. This opportunity allowed our team to travel to the World Championships for the first time. That was the best experience of my life! What are the top three skills you learned from your FIRSTexperience that have made an impact on your current job? The FIRSTprogram encouraged me to attend ECU and pursue a degree in engineering. Through the program, I developed leadership skills and learned how to work cooperatively with team members. It also gave me the hands-on skills that prepared me for college. By learning how to use SolidWorks in high school I received the practice necessary to be successful in several courses in the engineering program. How has FIRSTimpacted your life? I wasn’t sure what career path I wanted to pursue originally but my experience with the FIRST program gave me the confidence to major in engineering. During college I wasn’t as involved as much with the FRC program. However, this year I am officially a mentor with the Pitt Pirates in the engineering area. I wanted to pay it forward with what I gained from the program. What words of wisdom do you have for current FIRSTers? FIRSTis the hardest fun you will ever have. To rookie drivers just relax and have fun. Don’t let the stress get to you. Stay focused and work with your alliance! During the competitions I made awesome friends and it was an incredible feeling having the crowd cheer you on.